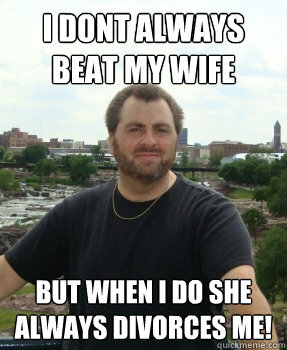 I dont always beat my wife but when I do she always divorces me! soy joto! 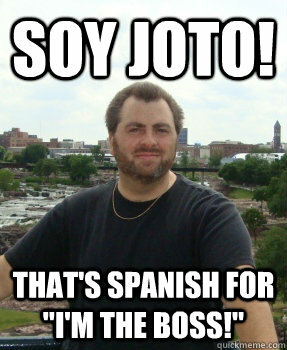 that's spanish for "I'm the boss!" 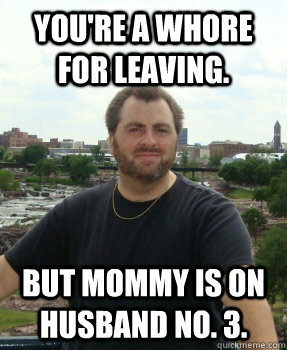 You're a whore for leaving. But mommy is on husband no. 3. 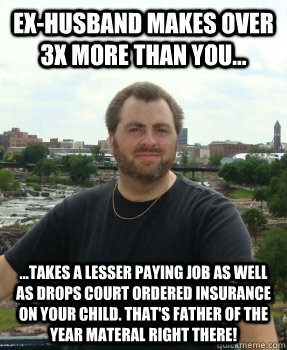 Ex-husband makes over 3x more than you... ...takes a lesser paying job as well as drops court ordered insurance on your child. 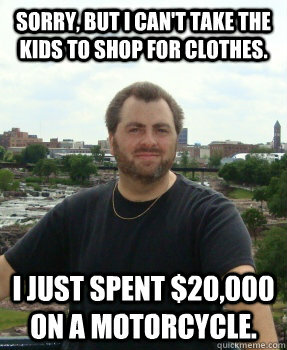 That's father of the year materal right there! 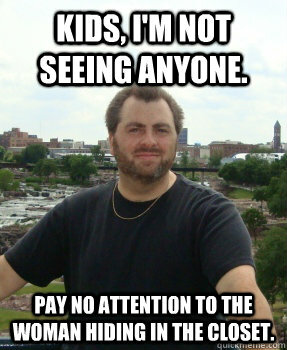 Kids, I'm not seeing anyone. pay no attention to the woman hiding in the closet. 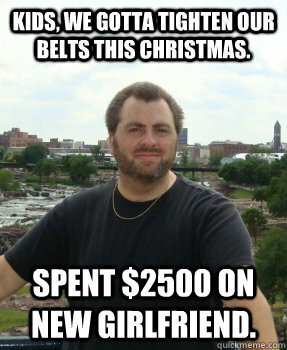 Kids, we gotta tighten our belts this Christmas. spent $2500 on new girlfriend. Sorry, but I can't take the kids to shop for clothes. I just spent $20,000 on a motorcycle.